I am located in Tacoma, Washington. 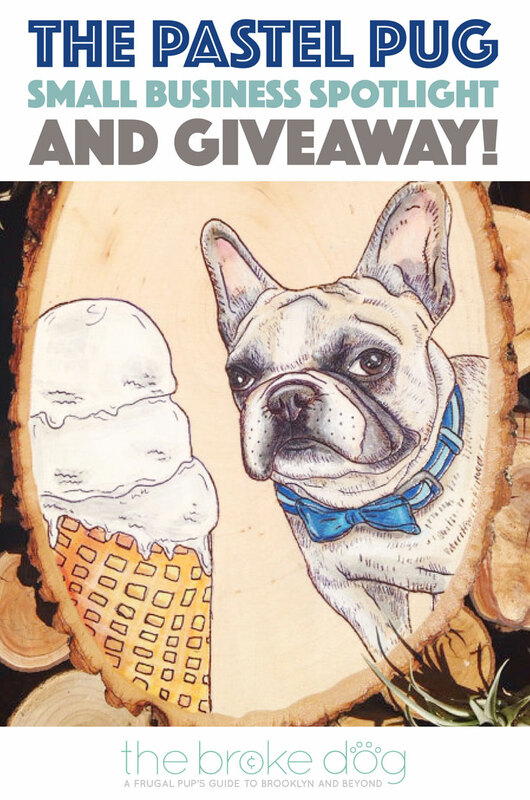 I’m coming up on my 1 year anniversary of my etsy shop opening! I would describe my business as fun and whimsical. I try to create something new everyday and have about a million quirky ideas for new pieces at any given time. 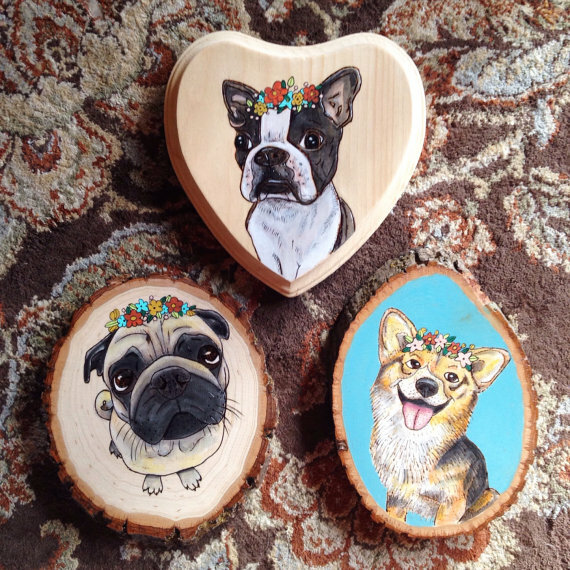 I sell unique wood burned art, jewelry, and prints. I also do a ton of custom orders of people, pets, and special requests. My specialty is definitely painting pet portraits! I’ve received some of the best pet pictures from people and have so much fun bringing them to life. I especially love it when it’s a silly picture like a cat looking annoyed or (like the one i’m working on now) of a dog at her birthday party. I do! I have 3 cats (Grim, Abba, and Stanley) and one very fat, constantly snoring, pug (Ross). It seems so small, but I can finally say I LOVE WHAT I DO which is so huge for me. I took a big leap of faith last year and quit my job to pursue my love of art. For the first time in a long time I look forward to going to “work”. My hands sometimes ache and I have an ongoing love-hate relationship with the post office, but it’s all worth it when someone receives one of my paintings and love it. 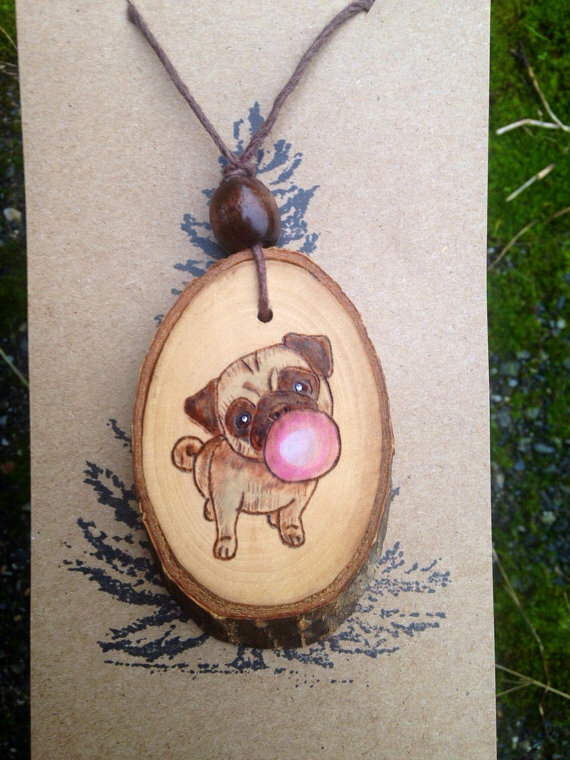 If you couldn’t tell by my Shop name (The Pastel Pug) I’m an avid pug enthusiast and lover of all things PUG. 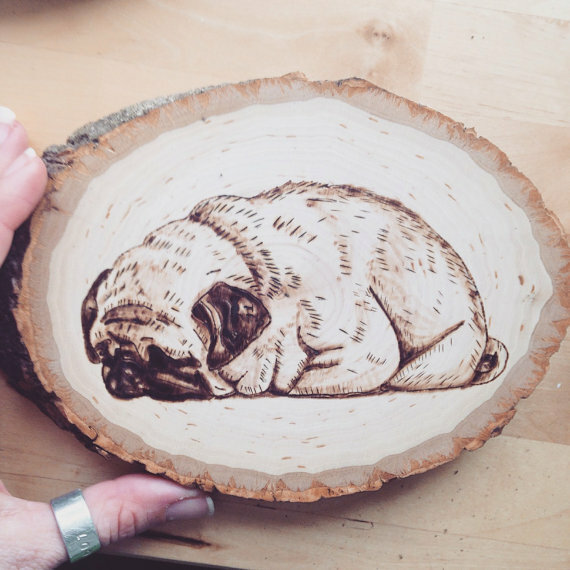 Since converting my hobby into a full-time business I’ve really focused on painting what I love and letting my passion for art speak for itself….which of course means tons of pugs. Nothings better than having something like my merpug painting ( Yes, that’s a pug mermaid) be appreciated by others. 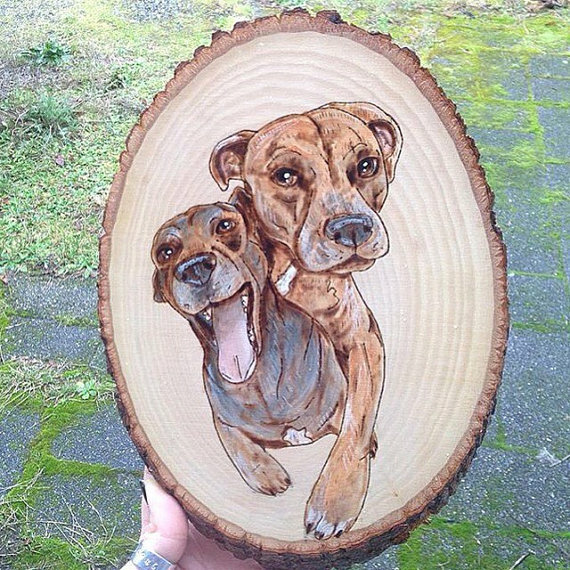 Well I’m partial, but i’d have to say every spoiled pet needs to be immortalized in one of my wood burned portraits! I’ve painted each of my pets about a dozen times now. I’d like to think they love seeing their portraits around the house and are starting to get big-heads about it, but they’re not talking so I’ll never know for sure! haha. Aren’t you in love? 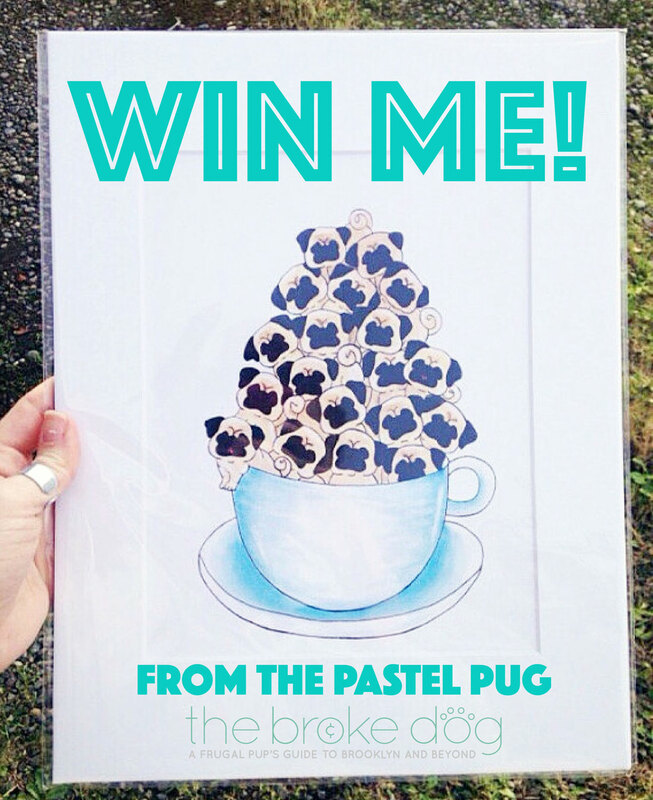 Check out The Pastel Pug on Etsy and Instagram and enter to win a 11×14″ watercolor print with a double mat frame below! These pieces are so cute! I am going to have to visit her shop and see her cat images. 🙂 She is definitely a talented artist.